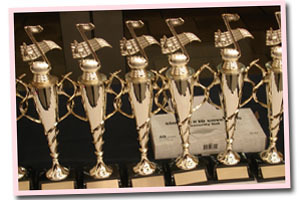 We award many scholarships to the winners. We’re really proud of last year’s winners and we wish this year’s participants the best of luck. Our recitals offer you the chance to showcase everything you learned at CCMA to a supportive audience. Congratulations to all the participants of this year’s recital; we are proud of you! Scholarships – We want to eliminate as many barriers to success as a possible, so that all students receive the best possible music education. These scholarships are applied to tuition fees at CCMA, and all students are welcome to apply. To date, we have offered more than $30,000 in entrance scholarships, young promising musician scholarships and merit scholarships! Free Aptitude Test and Assessment – The aptitude test is designed to help determine interest, ear for music, and coordination in music. The assessment helps us design a program that will help each student reach their full potential. Please fill the Free Aptitude Test and Assessment Form. Follow us on Facebook and Twitter for upcoming special promotions, or call our office at (905) 763-2264 for updates.